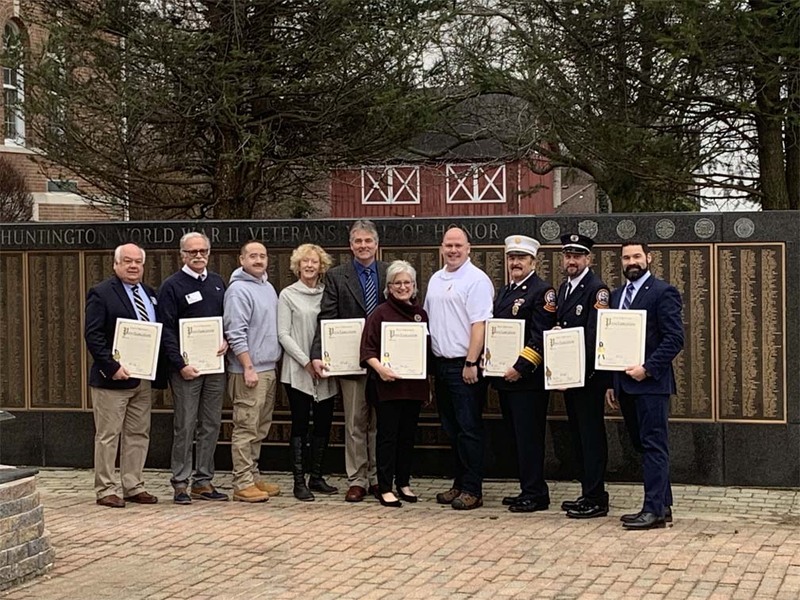 Councilwoman Joan Cergol and town board members present GHCYBC with a proclamation in recognition of the fund drive that was initiated to help Coast Guard Station Eatons Neck and New Haven. GHCYBC raised almost 10,000 during shutdown. Centerport YC, Northport YC and the HLPS also contributed $1000 each. Also present were Commodores from member clubs and other organizations who contributed. 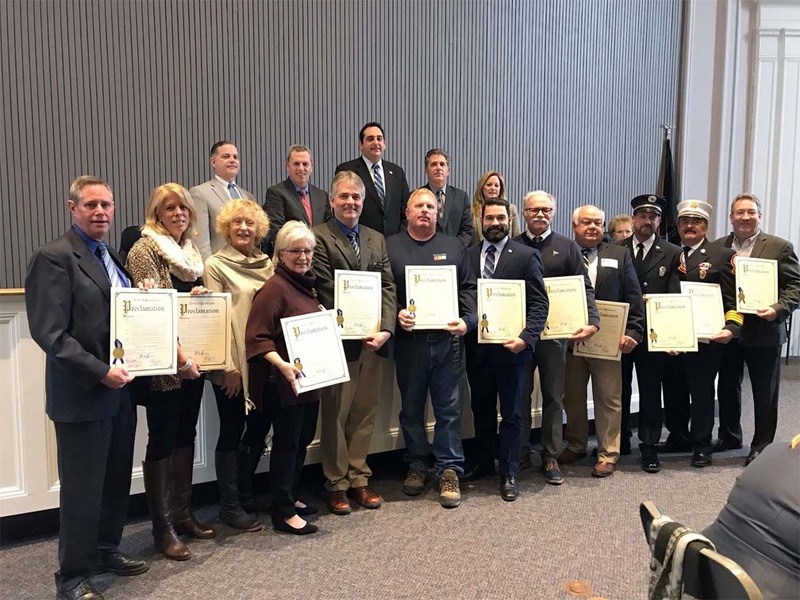 The New Haven team is responsible for 19 lighthouses and 541 navigation aids on Long Island Sound. They also deploy boats to break up ice in ports who are key to fuel delivery during cold weather.